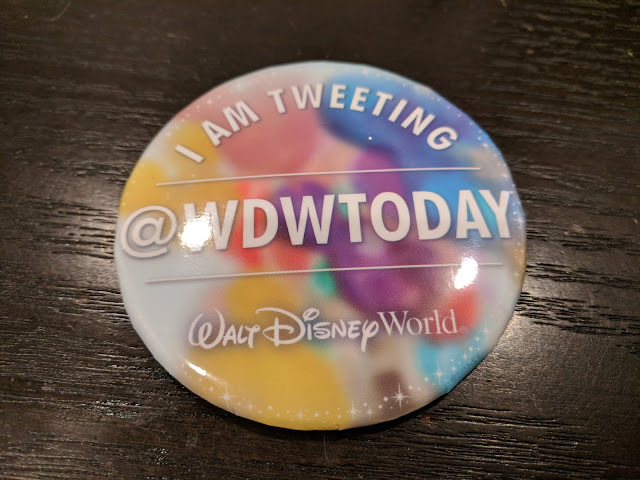 We ran into the @wdwtoday folks at the half marathon expo where they were handing out these buttons - which I'm not totally sure I understand. Didn't stop me from grabbing one, though. Is this a button that *they* wear? Or...am I supposed to wear it in the parks to tell people that I'm tweeting things?